Brita provides their smallest pitcher ever! 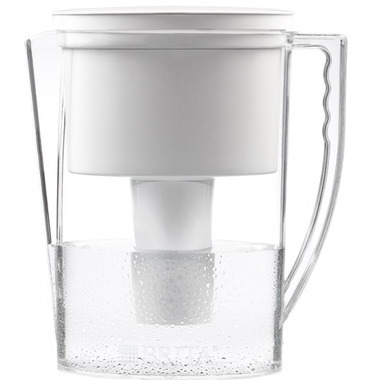 The Brita Slim Water Filtration Pitcher has a compact design and can be stored in narrow spaces, including most refrigerator doors. It’s BPA-free, and perfect for personal use at home, in the dorm, or at work. Bad design, the top opening of the Pitcher cover join very weak and very easy to be damaged, if you open it and push a bit hard, it will be damaged. It's a real space saver in the refrigerator and works well, i love it!